If you are in need of a top rated Michigan Stone Veneer Supply, please visit Haley Stone in Rochester Hills (248) 852-5511 or Auburn Hills (248) 276-9300 to browse our large selection. Click here to see photos of our stone veneers in action or Follow Us on Facebook for our Rochester Hills or Auburn Hills locations! Pictured above are some of our veneers in action! 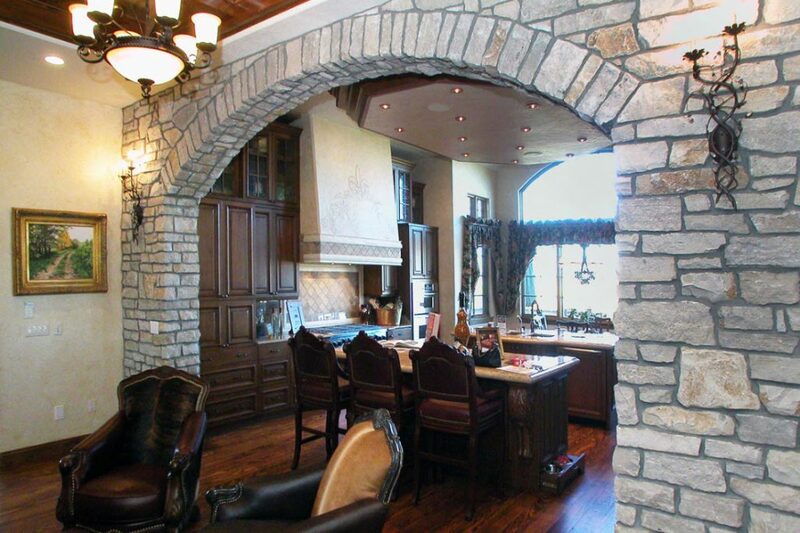 Stone veneer can be installed virtually onto any surface such as brick, wood, metal, cement, and even sheetrock. The flexibility for installation of stone veneer makes it a favorite for both homeowners and builders alike. This building product can be installed easily without having compatibility issues with substrates. Stone veneer is not as heavy as other building materials. This makes it possible to install them without adding too much weight to the home or business they are being installed on. It also means it takes less effort to get them to the job site. Stone veneer weighs less and also costs less because it is easier to transport to distributors and to job sites. Natural stone is much heavier and requires additional shipping costs. Veneer is also less costly than natural stone, so it is a great option when keeping construction costs down is important. Veneer is flexible and easy to install around rounded or curved areas. Natural stone is not flexible and veneer makes it easier to complete the installation around tricky areas. Stone veneer is easier to cut to fit into the areas you need it. Getting the needed size and shape is easier with stone veneer. Stone veneer is more consistently colored so it is more uniform throughout the installation. There is also an incredibly wide selection of colors, styles, and sizes of stone veneer to choose from. This makes matching the color scheme or decorations of a home easier. Fireplaces can also be upgraded visually with the look of stone veneer. The material is heat resistant and can help give your fireplace that custom stone look that so many people desire. It is easy to care for stone veneer as it isn’t porous like natural stone. This means it stays cleaner and won’t hold onto dirt or grime. You won’t need special cleaners and will be able to use regular household cleaners to keep your veneer looking great! Veneer is made to last with shock resistant and durable materials. 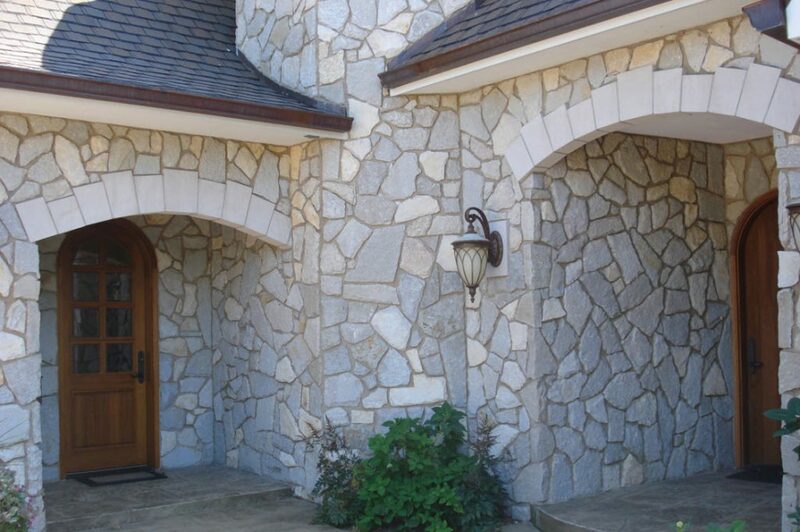 Once your home or business has stone veneer installed it will be a trouble free and durable solution for your property. Stone veneer is color fast and will not fade with the rain and incredible heat of summer. It will stay looking great for many years to come. Seen above is some of our outdoor veneer siding on this beautiful home! If you are searching for an experienced and trusted Michigan Stone Veneer Supply, please stop by Haley Stone in Rochester Hills (248) 852-5511 or Auburn Hills (248) 276-9300 to see our large selection!